The exciting thing about blogging fashion is the opportunity to see what others are up to and to see how they take new trends and make them their own. We teamed up with Raquel of the fantastic lifestyle blog horsesandheels.com for a playful game of dress-up. We picked through our Horseshoe closet and sent Raquel some sweet new spring pieces to see what she might do with them. 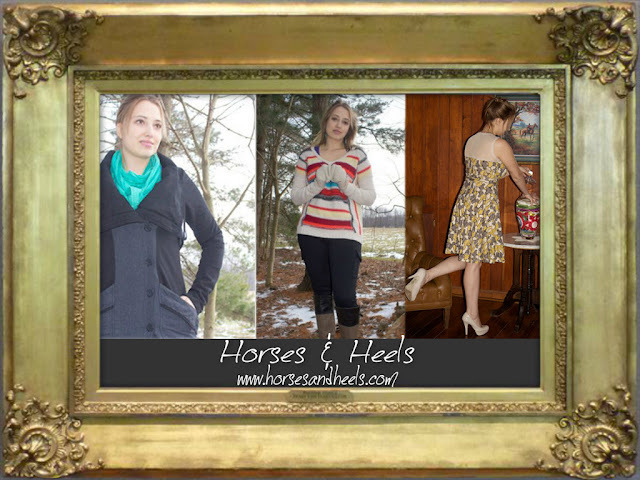 Take a gander into the world of Horses & Heels as she styled a transition to spring a la Horseshoe.